What is happening is not a surprise, the statics from WIPO shows that the global Intellectual property markets are generating approximately $180 Billion USD in licensing each year. Intellectual property has turned out to be the most critical assets in the 21st century. What used to be a tranquil corner of the tech business is turning into a hot zone in the legal and business worlds. Kakushin, a decentralized innovation, and intellectual property-driven ecosystem have opened the gateway for innovators to list their patents and intellectual property (IP) on the World Intellectual Property Organisation (WIPO), which is a self-funding agency of the United Nations with 191 member states. We know from WIPO data that global IP filing activity has been on the rise. Data indicates that the number of patents filed between 2015 and 2016 alone saw an 8.3 percent growth. Patents are more than just IP protection, they are also valuable assets for the innovators. Kakushin is making it easier for innovators to work together on IP. The project creates an environment where innovators can pitch their ideas and increase their acceptance among investors. This reduces issues related with neophobia. Kakushin eliminates the uncertainty associated with crowdfunding and ushers in an era of transparency. 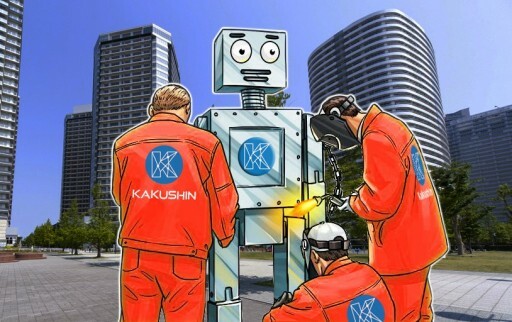 The innovation ecosystem Kakushin is pushing is a blockchain based solution that ensures that investors get a stake in the project that has chosen to support. Innovators are freed from geographic constraints as the ecosystem transcends borders and is a truly global solution. The patent process itself is also mired with difficulty and navigating this minefield can be challenging for new entrants; make a mistake in the patenting stage and all the hard work of an inventor is squandered. To that end, Kakushin’s partnership with WIPO is vital. WIPO works in creating an effective and balanced international IP system. Member states of WIPO create the bedrock on which the world’s IP system is built, supported by treaties and conventions that are facilitated by this international organisation. While WIPO itself does not grant the patents, which is the responsibility of national or regional patent offices, it does facilitate international patent protection under the PCT system. Kakushin is the first of its kind all-in-one solution for the innovation and IP industry that will offer an innovative blockchain based environment working with WIPO framework, Kakushin Ecosystem is a Hyperledger based platform that is driven by smart contracts and manual verification of all documents and audit of smart contracts between all involved stakeholders of an IP to safeguard the interest of stakeholders and make IP easily available to be shared with others (may or may not be for monetary benefits) in virtual world. While Kakushin Ecosystem is brand of Prius Labs Pty Ltd, Australia, it follows all the steps and guidelines prescribed by WIPO to be followed in the real world. So, Kakushin Ecosystem works as a facilitation service provider to its clients and provides them the services offered by WIPO in real world plus what WIPO and other patent offices are missing a virtual/digital record and smart contract based mechanism, for protection, management, and monetization of IPR. Kakushin’s blockchain based incubator is powered by a community-driven blockchain approach. The all-encompassing ecosystem touches all the participants in the entire innovation lifecycle. Kakushin Incubation and Nursing Centre takes a 360º approach to ICOs, from disseminating knowledge, facilitating investments, launching ICOs to providing the ability to track existing ICOs in innovative and eco-friendly ideas and products. Kakushin’s approach is essentially centered around efficient market validation and risk mitigation. The integrated exchange, which accepts the Kakushin Token (KKN) allows investors, buyers, and inventors to access the entire innovation ecosystem. As Kakushin is focussed on building a community that supports and fuels innovation, they are taking the crowdfunding approach to support the project. Kakushin’s presale is in progress and is due to end on May 31, 2018. Kakushin has over +18K members in the official Telegram community. The main token sale will start on June 1, 2018, till June 30, 2018. During the token sale, 2.4 billion KKN will be sold, which is ERC20 compliant and based on the Ethereum blockchain. There is a soft cap of US$ 4 mln and a hard cap of US$ 30 mln on the sale. A Whitepaper has been released by Kakushin detailing the technical and other aspects of the project. Kakushin is the source of this content. Virtual currency is not legal tender, is not backed by the government, and accounts and value balances are not subject to consumer protections. Cryptocurrencies and tokens are extremely volatile. There is no guarantee of a stable value, or of any value at all. Token sales are only suitable for individuals with a high-risk tolerance. Only participate in a token event with what you can afford to lose.